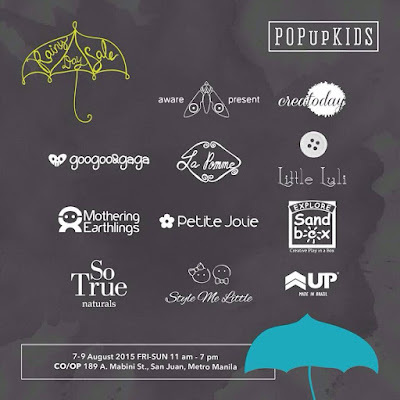 A&D's Weekend Guide: Pop Up Kids, Oishi Snacktacular 2015 and the 13th Global Pinoy Bazaar! Hello August! It's one more month then it's ber-month na! It's crazy how fast this year is going! But first, let's chill and enjoy the second weekend of August with a shopping and junk food festival. Heehee! It's Pop Up Kids Rainy Day Sale at CO.OP this August 7-9! Make sure to drop by as great discounts and special offers from your favorite kiddie and grownup friends! There's also fun activities to keep your little ones busy while you shop! Check out the brands that will be at the pop up! Oishi Snacktacular is also happening this weekend! It will be my family's first time to go to this spectacular event! 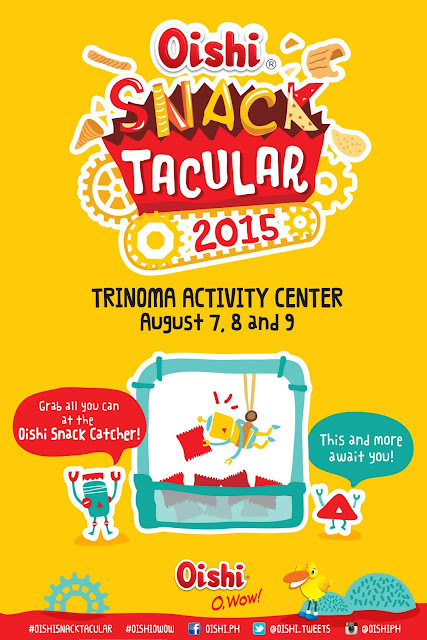 Shop-all-the-Oishi-you-can at Trinoma Acitivity Center! I can't wait to shop all the Oishi we can!!! I'm excited for my kids! 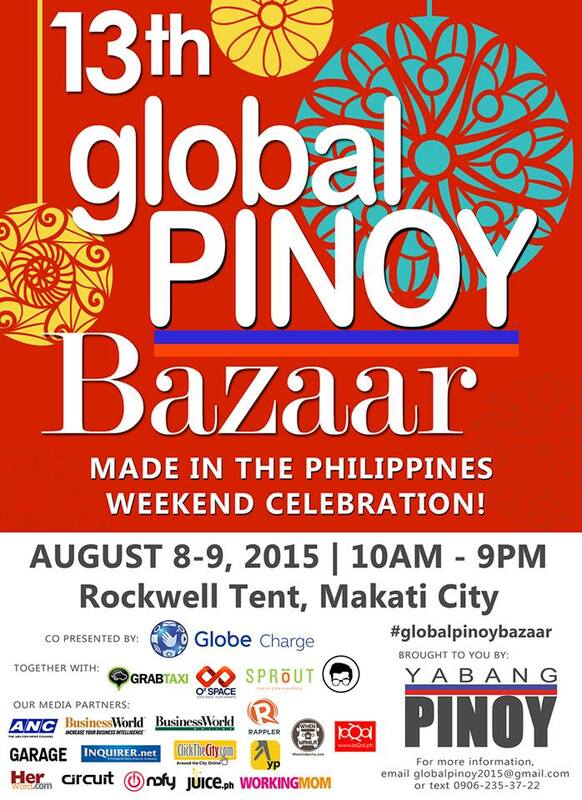 Another shopping event you must go to is the 13th Global Pinoy Bazaar happening on August 8-9 at the Rockwell Tent! Global Pinoy Bazaar has always been known for showcasing quality Filipino products. I wish I can drop by but this weekend is so full of activities but if you are free and in the area, do drop by!